A Perfect Opportunity to get Hands On! 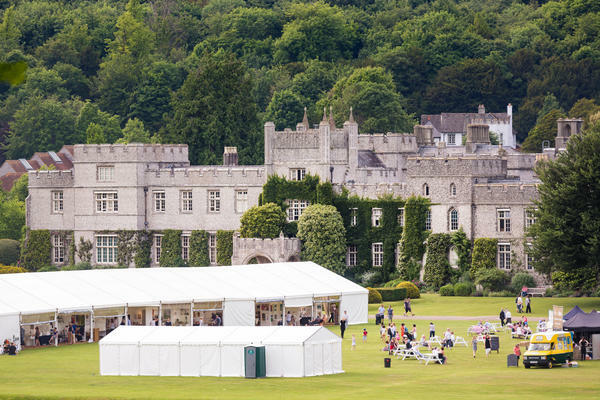 Tickets are now on sale for the West Dean Arts and Craft Festival, which will take place within the beautiful grounds of West Dean College of Arts and Conservation in West Sussex from Friday, May 31 - Sunday, June 2, 2019. Tickets cost £10.50 for adults in advance and £12.50 on the day, while children under 16 years are FREE. 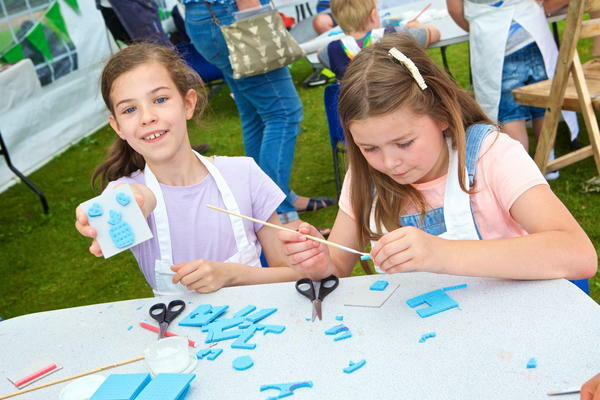 The Festival, which is open each day from 10am - 5pm, offers visitors the opportunity to try their hand at something new in a fun environment and go home, after a bit of escapism, saying "I made that!" 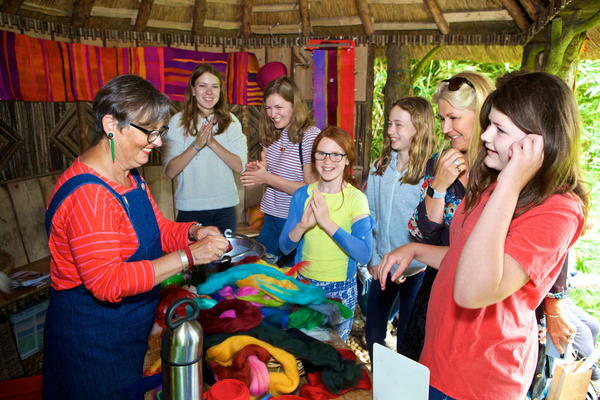 With almost 1,000 places to have-a-go in workshops and classes offers the chance to get involved in free drop-in Demonstrations and Summerhouse trail such as painting; large-scale weaving and even a river-powered kinetic art installation. Visitors can also buy unique crafted items, see the work of emerging artists, have a rare opportunity to step inside the historic house which houses the Mae West Lips Sofa and Lobster Telephone - Edward James' iconic collaboration with Salvador Dali. For the first time, there will be a selection of drop-in demonstrations from painting to tapestry where visitors can watch artists at work or join in. Still life artist George Popesco, who works in oil paints to form expressive and sculptural artworks, will be demonstrating on Friday. On Saturday, contemporary illustrator and portrait artist Paul Cox, will be sharing his 30 years of expertise, while on Sunday, practicing painter Andrew Fitchett, who has been a tutor at West Dean since 2006 will be taking to the easel! Throughout the weekend, there will be a Scaffolding Tapestry "drop in" where West Dean's master weaver Phil Sanderson will be encouraging visitors of all ages to have a go! 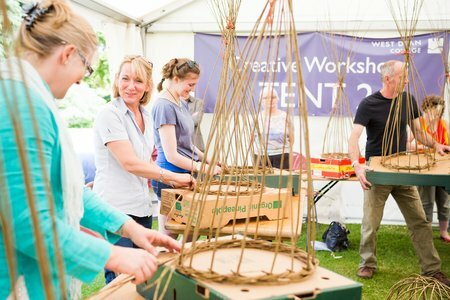 Throughout the entire weekend, artist and sculptor Dan Lobb, who has exhibited at Hampton Court Flower Show and featured on Gardeners World, will be asking visitors to get involved by contributing to a river-powered kinetic art installation using items from the natural surroundings such as leaves and twigs. There will also be a chance to chat to a variety of skilled craftspeople about their work and techniques. Watch and enjoy demonstrations in blacksmithing with Peter Parkinson, whose recent book is titled Making Sculpture from Scrap Metal; and ceramics with Frances Doherty, who trained in 3D design and her work is sold internationally, and more. 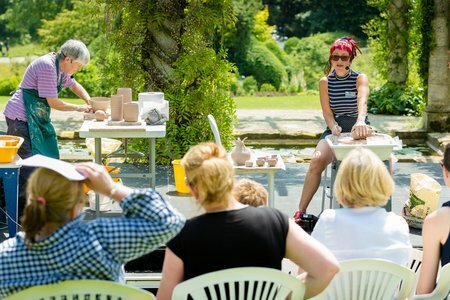 There's no need to book, just pop into one of the summerhouses around the gardens to have a go at making or taking part. New for this year, activities include origami jewellery with Renata Mayumi, a Japanese Brazilian based in Lisbon, was trained at Lisbon Jewellery Centre and attended several jewellery and experimental paper courses in Japan, UK and Germany; embroidery with Emily Peacock, who is a contemporary needlework designer known for her vibrant and edgy designs that most typically mix her love of colour and typography. Marilyn Phipps is renowned for her vibrant colour palette which she uses to make bold and exciting beaded jewellery inspired by her visits to Kenya and Rag rug maker Debbie Siniska has worked as a textile artist for over 25 years, using traditional hand tools and recycled textiles. 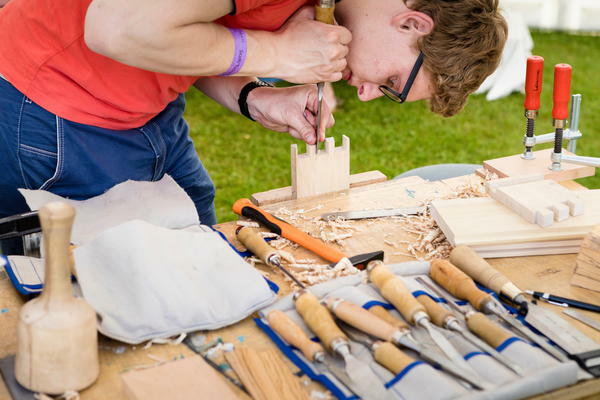 West Dean College attracts some of the country's best craftspeople and artists, so it's no surprise that there are more than 20 workshops a day, that's almost 1,000 places! They offer the opportunity to try a new skill and make something to treasure under the guidance of one of the expert tutors. All adult workshops are 1.5 hours long and all materials are included in the workshop price. 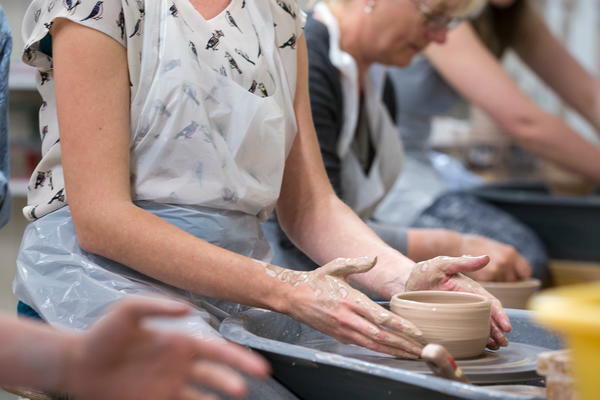 Choose from pottery, painting, printmaking, making automata, willow weaving, jewellery making, carving and many more, and discover a new passion. 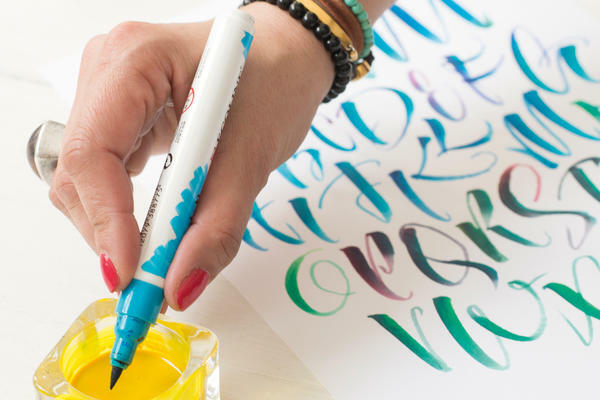 New for 2019 will be Modern Brush calligraphy with Kirsten Burke, who will be teaching the tips and tricks of modern calligraphy with a variety of brush pens in different colours and finishes, as well as Satirical cartooning with Private Eye Cartoonist, Guy Venables and Automata with Stephen Guy. Workshops are suitable for all but children aged 12-16yrs need to be accompanied by an adult. A variety of workshops are available for children aged 5-12years (Must be accompanied by an adult with a valid ticket). Lasting for 90 minutes and costing £8, they range from UV resin jewellery and Polymer clay jewellery to plaster cast and printmaking, textured pinch pots and hanging mobiles. 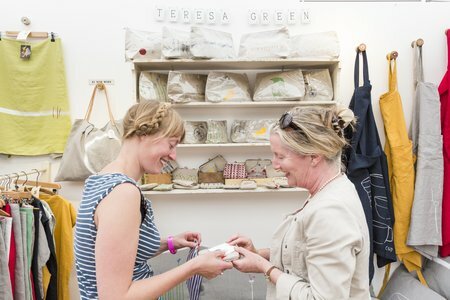 Exhibitors range from typographists to textile designers and jewellers; chair makers, milliners and printmakers. Among the exhibitors will be TypeTom.com, who is exhibiting for 2nd time. With over 10 years' experience in Letterpress printing & designing for both trade & personal clients he has worked with a wide variety of people and organisations including Tate Modern, Southbank Centre, V&A, Fortnum & Mason, Design Museum to name a few. Exhibiting for the first time will be London-based Romor Designs, which was formed in the autumn of 2015 by Rob Jones, a shibori textiles designer and natural dyer. Having discovered Shibori, the ancient Japanese art of resist dyeing, at West Dean, Rob went on to study in Japan under indigo guru, Bryan Whitehead. His passion is in finding the new in the old, building on the tradition and centuries of skill that shibori has behind it. He believes in taking work in new directions by combining techniques and inventing his own forms. We are Mountain was started by Sophie Mutter who decided to change careers from being Picture Editor on OK! Magazine after doing a course at West Dean. 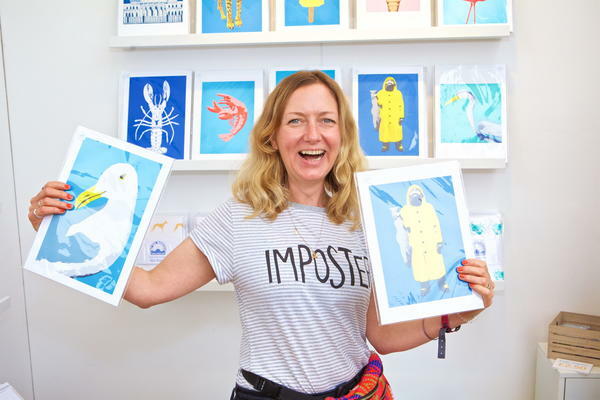 She produces bright and colourful prints, tea towels and greetings cards inspired by the seaside and natural world. The House - Things to see and do…. 'Hawaiian Honeymoon, 1931' - This home video, shot on 16mm film by Edward James and Tilly Losch on their honeymoon in 1931, has been digitised by Screen Archive South East and will be shown in full for the first time at West Dean Arts and Craft Festival 2019. To mark the first public screening on this 35-minute film, West Dean's first composer-in-residence, Mary Hampton, has been commissioned to write a new soundtrack, which will also premiere at the Festival. Students from the School of Arts will present a number of artworks across the house and grounds. Using the historic House and Gardens as a starting point to make new work, the event will include pieces inspired by the life and work of Edward James, as well as site-specific artworks that respond to the landscape. These include a work 'A Perfect Kind of Order' by Katharine Rabson Stark (studying for DACC) who will use the dining table as a site from which to contest the notion of the self-contained, studio-based artist, disrupting the grandeur of the Edwardian set-dining table to show the reality of how twenty-first century women and mothers work as artists. Outside the Main House, Emma Rimer (MA Visual Arts) will be creating Opposing Faces - a large outdoor sculpture. Taking the form of a dodecahedron, a twelve-sided polygon, each pentagonal face captures an image of the surrounding landscape, enabling the viewer to walk around the structure to combine views like frames in a strip of film. The work is inspired by Edward James' undated poem 'Dodecahedron'. In the Music Room, Philippa Clarke (Graduate Diploma Visual Arts) will create Pastoral I and II. In 1938, Edward James commissioned French composer Francis Poulenc to compose Les Sécheresses, a choral and orchestral work based on his poetry. Using this interrelation of painting and music, Philippa Clarke's Pastoral I and II renders the landscape of the South Downs using the deconstructed keys and hammers from an old piano. Together with a graphic score created using the Surrealist technique of frottage, the work soundlessly echoes the romance, drama and strangeness of the landscape surrounding West Dean. Each day at 11am, there will also Flash Fiction readings from Creative Writing students using the main character from the novels being developed on the MA. The Conservation and Making programmes at West Dean present a joint showcase of projects. The display will offer a glimpse into the various approaches to conservation and making, demonstrating the exciting challenges of working with historic objects and craft practices. Students will be on hand to speak about the objects on display, giving visitors a fantastic opportunity to hear about the work that takes place at West Dean College. Curated by placement students from the University of Sussex, 'Edward James: Record of a Journey'. This exhibition takes a look at Edward James as an internationalist - from his education in England and Switzerland, his travels across Europe in the 1930s, North and South America in the 1940s-60s, through to his visit to India and Nepal in 1983. 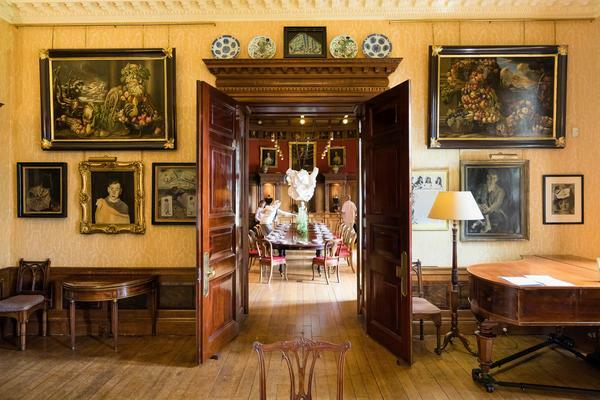 There is also an opportunity to follow a self-guided route through the Edwardian house and take in the historic State Rooms, only open to visitors once a year, and discover the secrets of the Edward James Archive and Collection. There will also be live music performance in the Oak Hall, readings from Creative Writing students. Children will enjoy spotting the lobsters hidden throughout the State Rooms.